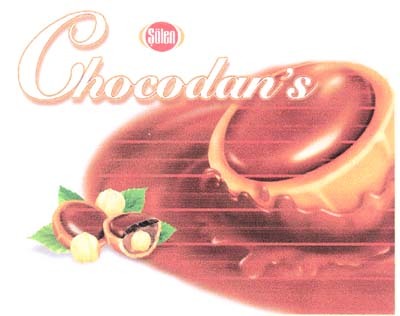 A Turkish confectioner called Solen Cikolata Gida Sanayi Ve Ticaret Anonim Sirketi, filed trademark application number 221464 for chocolates, products covered with chocolate and candy, chocolate bars, biscuits covered with caramel and chocolate, wafers, wafers covered cream-hazelnut-cakes, cakes, cream-cakes, biscuits, confectioneries, chewing-gums; all included in class 30. August Storck KG, the manufacturers of Toffiffee, filed an opposition claiming that the mark was confusingly similar to theirs. The applicants ignored the opposition and the mark was considered abandoned. Storck’s lawyers filed a request for NIS 19,645 in costs, which included NIS 9,615 broken down into attorney fees, translation costs, official fees, etc. they further requested 2000 Euros to cover the work of their in-house lawyers. Ms Yaara Shoshani Caspi accepted the charges of NIS 9615 but rejected the 2000 Euros for in-house counsel fees and unsubstantiated. She noted that they were entitled to their salary whether or not they were to handle this or other matters. Clearly in-house counsel do work when an opposition is filed. I have never seen a request for compensation for this, but I have no doubt that employing lawyers takes time and resources. Maybe an allowance for these costs should be made. On the other hand, doing so might open the door to ridiculous requests for costs to be submitted. Since the applicant has disappeared, one wonders if Storck will ever see the costs that were awarded, which may make the amount ruled somewhat irrelevant. In May 2008, the Supreme Court (11487/03 Augustus Storck) reconized the Toffiffee praline’s shape as a trademark, so it seems likely that the opposition would have been accepted and we suspect that this rather similar product is confusingly similar. However, we note that General Mills’ Bugles are sold in Israel by Osem under the trade-name Apropros, and the Supreme Court refused to grant an injunction against competing manufacturers of similar shaped goods. See https://blog.ipfactor.co.il/2009/10/19/israel-supreme-court-allows-generic-apropo-snack/ We wonder if, where a different name is clearly printed together with the confectionery if there is a likelihood of confusion? Maybe, court and patent office policy should allow competing, generic equivalents? As this has been abandoned, we’ll never know. ‹ Coexistence in Different Classes – Why not ask?